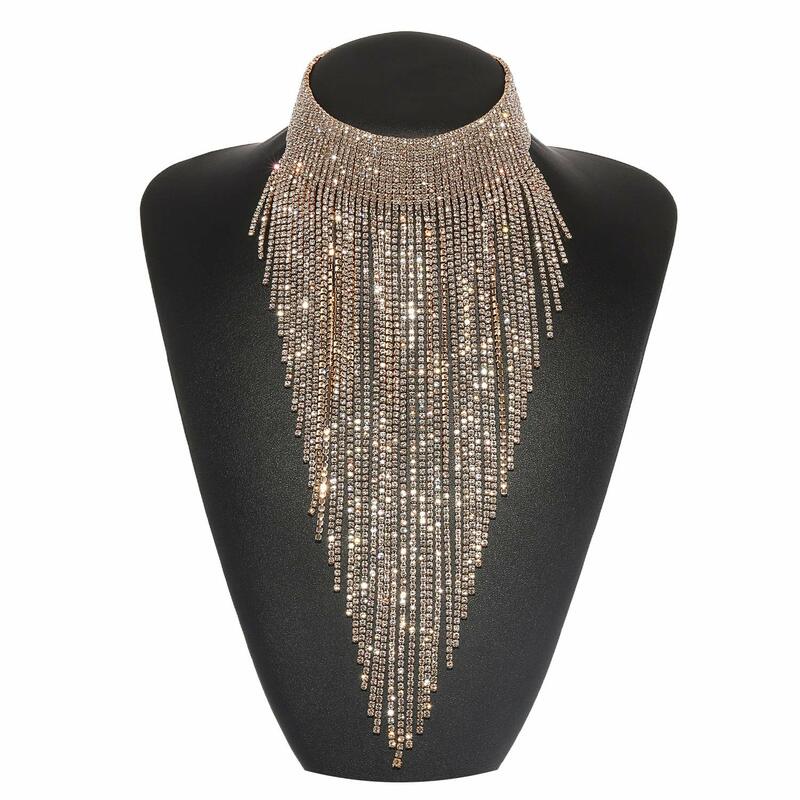 ★★★★★ This necklace stole the show! It’s perfect to dress up a plain dress. It’s very elegant, not cheap looking. I highly recommend. Also, didn’t break me out like most jewelry. ★★☆☆☆ It is actually smaller in person. The necklace only extends (lengthwise) down to the top of chest, not down the middle like it appears to in the photo. Also, don't feel like it actually has as many strands as the photo. It's not a bad necklace, just different than pictured. Not what I wanted. ★★★★★ this is a lovely piece. I can get a lot of wear out of it. good quality. ★★★★★ I just recently purchased I think 6 or 7 of the Holylove jewelry pieces. I am so happy with them. I love their unique look, and quality. I've ordered from other sellers and would have a stone fall out of the setting or a chain that would be broken, but I didn't have any of that with Holylove. I don't use much jewelry, so I didn't really NEED all that I got, but I am so happy with it, and love wearing it. Even gave a piece to my mom, and she has it hanging as decoration until she wears it!! Their products are really beautiful and I can't wait until the day that I have worn every single piece!! ★★★★★ I am impressed with the quality and how gorgeous my daughter look with it. The picture does not make it justice. it is amazing how it looks. i will recommend it hands down. It has flexibility for your neck so it wouldn't bother you. My daughter loved it.